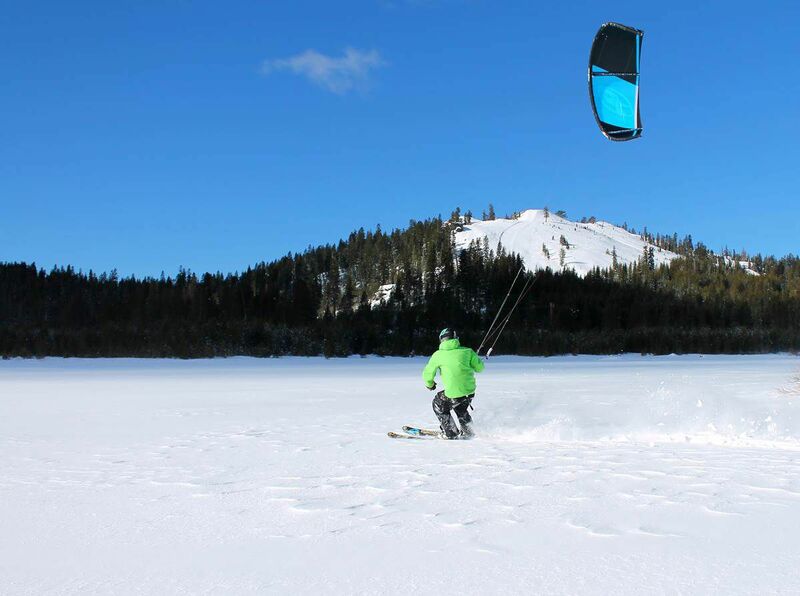 Winter skiing and spring kite flying combine for a day of fun on the snow at Sugar Bowl Resort and Royal Gorge. With Sugar Bowl’s snow season coming to an end this Sunday, skiers and snowboarders can get their final runs in for free with the purchase of a 2014-15 season pass, the resort has announced. Sugar Bowl Resort has lowered prices for most season passes and expanded pass privileges, including limited free skiing at Squaw Valley and Alpine Meadows, plus Sun Valley and Grand Targhee when booking lodging. In addition, pass options also include special pricing for Sugar Bowl-Royal Gorge combo passes, accessing 200-kilometers of groomed XC trails across 6,000 acres at North America’s largest cross country resort. Royal Gorge XC standalone season passes also are available. New this season, Sugar Bowl Unrestricted season passholders will get four free lift tickets to Squaw Valley and Alpine Meadows; Slightly Restricted season passholders will get three; Midweek passholders will get two. Lift tickets are valid Sunday-Friday, non-holiday, during the 2014-15 ski season. Season passholders also are automatically entered into the CORE rewards program, where skiing and food and beverage purchases add up to rewards. After receiving up to 11 inches of new snow during the last two days, Royal Gorge will open once again on Saturday with 30 kilometers of groomed trails. The cross country ski area first opened for the season on Dec. 9, but closed earlier this month due to a lack of snow. Royal Gorge’s Summit Station lodge will have ticket sales, food and beverage services, lessons and rentals. Lift tickets will be selling at the half-day rate. 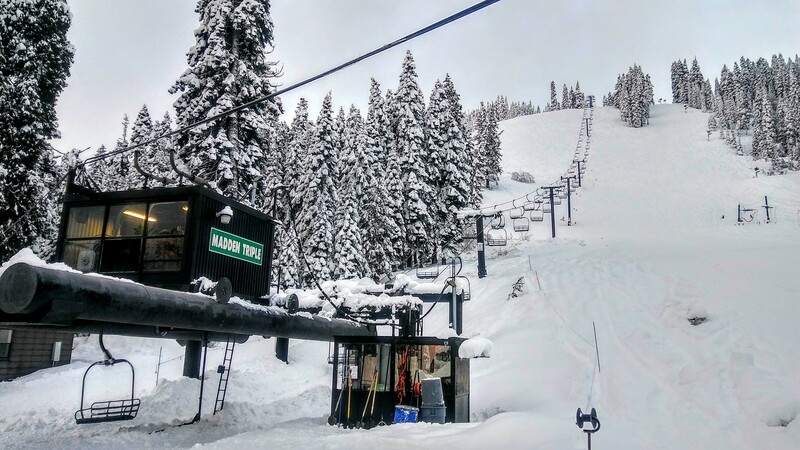 Sugar Bowl, Royal Gorge’s sister resort in the Lake Tahoe area, is offering top-to-bottom skiing and riding with nearly a foot of new snow. Skiers and riders will have access to six chairlifts and 26 runs. Forecasters are calling for sunny skies Saturday and Sunday, and cold overnight temperatures that will keep snow conditions ripe for skiing throughout the weekend. Royal Gorge Cross Country, North America’s largest cross country resort, will open for the season today. The resort will offer about 40 kilometers of groomed cross country trails for skiers after more than 20 inches of new snow fell on the resort over the weekend. When fully open, Royal Gorge has more than 200 kilometers of trails on 6,000 acres of terrain that stretches from the open expanse of Van Norden Meadow to the foot of majestic Devil’s Peak. It is connected to Sugar Bowl Resort by an “interconnect trail” that leads skiers through Van Norden Meadows. 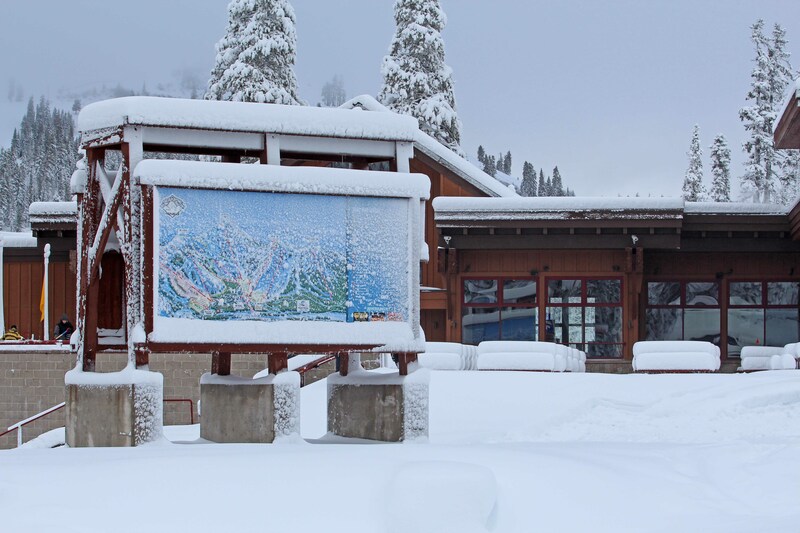 Tickets, rentals and other guest services will be offered at the Summit Station Lodge. All-day, adult lift tickets are $28. Skiers can receive a $5 discount on a Royal Gorge trail passes every day throughout the season by purchasing a $21 CORE pass. Royal Gorge, North America’s largest cross country resort, has launched a new and improved website at www.royalgorge.com. Features include improved navigation, video and image gallery, dedicated webcam page, and a more detailed grooming and weather report. Visitors also will enjoy an enhanced trail map, detailed information on trail and season passes, a calendar of special events and clinics, and other timely and relevant information from the resort. With 200km of groomed trails spanning 6,000 acres of land atop Donner Summit, complete with six distinct track systems and eight warming huts, there’s lots of winter adventure for skiers, skaters, striders, snowshoers, snowkiters and even fat tire snowbikers. Sugar Bowl Resort is in its second year as owner/operator of Royal Gorge. Alpine Meadows, Squaw Valley: The Lake Tahoe resorts are looking to hire nearly 1,000 workers, and will host a hiring fair on Saturday, Nov. 2, from 9 a.m. to 2 p.m. in the Olympic House at Squaw Valley. Interviews will be conducted for a wide range of positions including ski/snowboard school instructors, lift operations, grooming, terrain parks, culinary services, rental services, retail, security, product sales and services, and parking. Opportunities include full-time and part time positions. Skiing or snowboarding abilities are not required for all available positions. Apply online and schedule interviews prior to Nov. 2, however walk-ins will be permitted the day of the hiring fair. For information, call the resorts’ Human Resources Department at 530-452-7112 or visit www.squaw.com and www.skialpine.com. Boreal: Meet with Boreal Mountain Resort managers in-person on Oct. 19 in the Boreal Cafe located on the second floor of the Boreal Base Lodge. 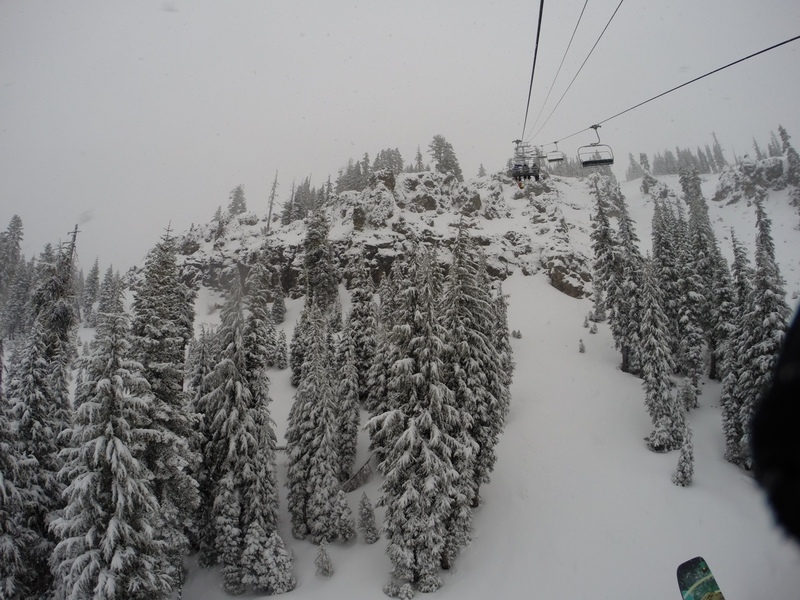 Interview for one or several winter positions available for the 2013-14 ski season. The job fair will offer interviews on a first-come, first-serve basis. Apply at http://rideboreal.com/winter/jobs/benefits. Royal Gorge will open 19 trails and over 20 kilometers of terrain for cross-country skiing on Saturday. The Donner Summit resort will now be open seven days a week for the season. The opening of America’s largest cross-country resort will be the first time that the resort opens to the general public under Sugar Bowl Resort’s new management team. Sugar Bowl took over operation of Royal Gorge in the fall, and updated the resort’s Summit Station lodge, added grooming equipment and bought new ski rental gear for the resort. All services will be available at Summit Station lodge, including ticketing, rentals, food and beverage and ski lessons. Trail passes will also be available for purchase at the Van Norden trailhead. All-day lift tickets will cost $27. Skiers can receive a $10 discount on a Royal Gorge trail pass on Saturday, and every day throughout the season, by purchasing a $19 CORE pass. Royal Gorge has over 200 kilometers of trails and approximately 6,000 acres of terrain that stretches from the open expanse of Van Norden Meadows to the foot of majestic Devil’s Peak. It is connected to Sugar Bowl Resort by an “interconnect trail” that leads skiers through Van Norden Meadows. A cold winter storm dropped nearly a foot of snow at the resort on Wednesday, making for superb snow conditions across the resort’s trail system. For more information visit royalgorge.com or sugarbowl.com.